Around 300 of Croatia’s Jewish population held a vigil outside the country’s most notorious concentration camp in protest at the government’s alleged failure to challenge rising neo-Nazi sentiment in the country. Part of this failure concerns the downplaying of the crimes of Croatia’s pro-Nazi regime. The ultra-nationalist and antisemitic Ustaša regime took power on August 10, 1941, after Axis forces had invaded Yugoslavia on April 6, 1941. Concentration camps were built nationwide to ‘purge’ Croatian society of ‘foreign elements’. This extended to Jews, Serbs, Roma and non-Catholic minorities. Ustaša fascists exterminated over 500,000 Serbs. They forced 250,000 into exile and made 250,000 more Serbs convert to Catholicism under pain of death, according to Yad Vashem. The fascist regime murdered 75 per cent of Croatia’s pre-war Jewish population of 40,000. Jews in Croatia now make up 1 per cent of the general population. Between 15,000 and 20,000 Roma were also murdered by the Ustaša regime, as were between 5,000 and 12,000 ethnic Croats and Muslims. Croatia’s largest concentration camp was the Jasenovac complex, a string of five camps along the Sava River, east of Zagreb. Close to 100,000 people were murdered in this camp between 1941 and 1945. Prisoners at the Jasenovac camp received little food. Shelter and sanitary conditions were minimal at best. Guards tortured, assaulted and murdered prisoners with impunity. The tools of murder included hammers, knives, bars and axes. They also used blowtorches and welding rods to torture prisoners. Eduard Sajer, a survivor of the Jasenovac concentration camp, recalled how guards had segregated barracks for Sephardic and Ashkenazi Jews and Serbs. When not working as an electrician in the camp, Sajer had to dig graves for individuals murdered by a blow to the head from a mallet. He bore witness to the murder of his brother and lost his parents and other siblings in the camp. He watched others being burnt alive. Granik and Gradina also served as local killing fields. Croatia’s surviving Jews were deported to Auschwitz between 1942 and 1943. According to Marko Attila Hoare, an expert on genocides the region “the Ustasha extermination of Serbs provided a catalyst for Chetnik massacres of Croat and Muslim civilians“. Dinko Sakic, commander of the Jasenovac camp, had fled to Argentina after the war and was eventually found guilty of crimes against humanity in 1999. Sakic was responsible for the murder of more than 2,000 Serbs, Jews and Roma. He ordered executions, refused to treat the sick, worked people to death and tortured some with a blowtorch. The courts found that Sakic had personally shot dead two prisoners for smiling. Croatia’s independence from Yugoslavia in 1991, saw attempts to rehabilitate the image of the Ustaša. Fascists veterans received benefits from government officials. The late president Franjo Tudjman, who died in 1999, was often accused of Holocaust revisionism. The funeral of Dinko Sakic proved a lavish affair in 2008. According to local media, he was buried in the Ustasha uniform and described by the priest at the funeral as “a person Croats must be proud of”. Israel’s former ambassador, Shmuel Meirom, condemned the funeral. Now in 2016, there is a sense of a neo-Nazi revival. Ultra-nationalists shouted pro-Nazi slogans at a rally attended by thousands of people, including Deputy Parliamentary Speaker Ivan Tepes in January. Similar chants were heard during a recent football match between Israel and Croatia. 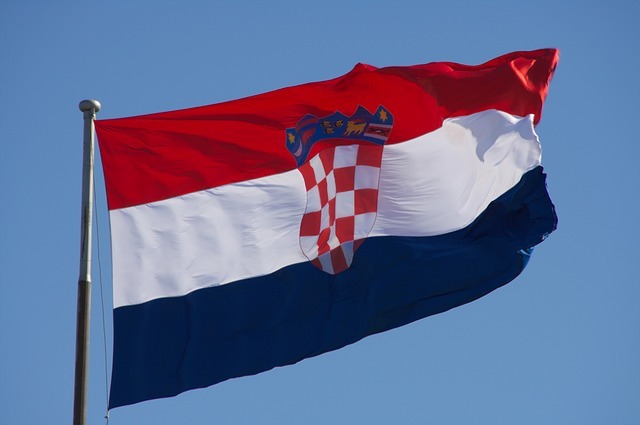 The Croatian government is now taking steps to allay fears. President Kolinda Grabar-Kitarovic met representatives of Jews, Serbs, Gypsies and anti-fascists. Prime Minister Tihomir Oreskovic issued a statement condemning the Ustashe regime.